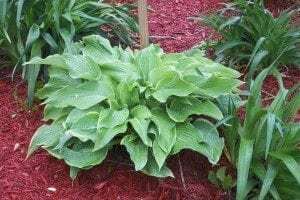 Med/Large: 24″ tall mound with leaves that are thick,rounded,acute tip,corrugated that are 9″x8″. 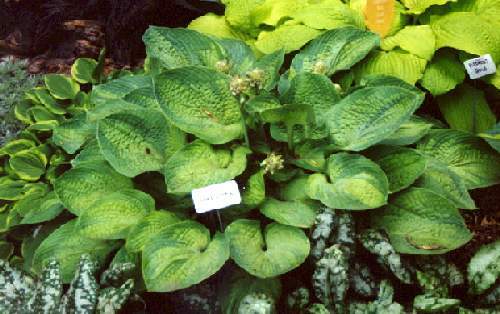 Flowers are pale lavender in color. 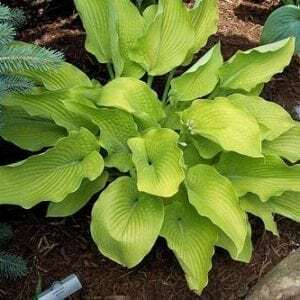 Aardvark’ Hosta has gold leaves that are cupped and heavily corrugated and are highlighted by a wide irregular green margin. Prefers up to 3/4 morning sun.